A little creepy for me....but still, amazing! Incredible photos, especially the one showing the worm emitting a silk thread. Can you tell me where you got the silk worms, and their food? Your photos are indeed incredible. How cool that you are raising moths! Do you use the silk, too? We got the caterpillars and the silkworm chow from Mulberry Farms http://www.mulberryfarms.com/store/, but there are other places. 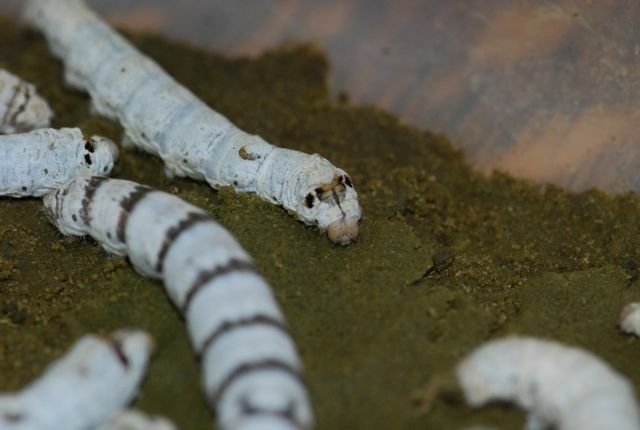 You might want to search for silkworms in your search engine for a local supplier. 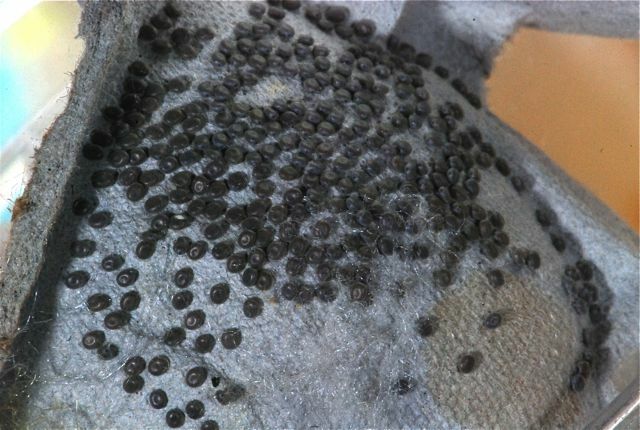 As for what we do with them, once the moth has emerged from the cocoon, it is difficult to use the silk because the threads are cut short. We are going to see if we can raise another generation and my son has come up with a sweet craft project that uses the cocoons. Wow what a fabulous project. My daughter enjoyed your photos. I have to admit I didn't tell her we could order her own set of silk worms though. Not sure I could deal with that one. P.S. 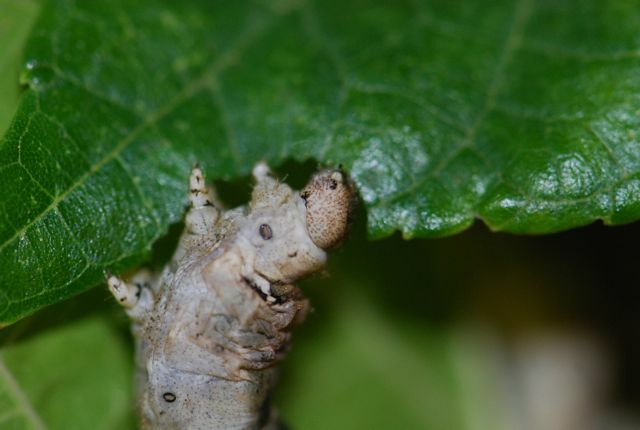 I ordered from Coastal Silkworms this year, because their prices are good. 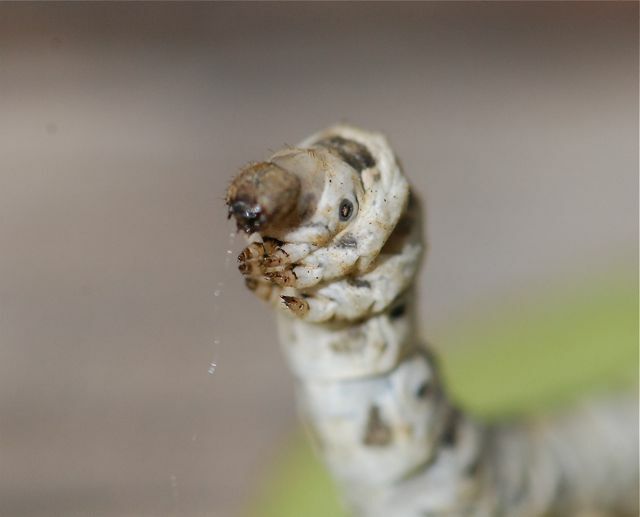 http://www.coastalsilkworms.com. And I got little individual boxes for the kids at a reptile supply house. http://www.LLLReptile.com for 1.99 each. This way each student can be responsible for his/her own caterpillars. My 5th grade class raised silkworms one year and it was fascinating. A friend gave me some eggs and I was desperate to find mulberry leaves (didn't know about the mix). I told the kids we had to have them and they got all excited. Two "berry trees," as they called them, grew next door to the school. Every day I stopped on the way to work to pick fresh leaves which the kids fed the worms. The entire process was a new experience to us all. Thanks for the link to this post. It brought back some fun and funny memories. My mom was librarian at the same school. She came in to see the silkworms and asked a student what the worms were doing. the student replied, "They're mating." My mom's eyebrows raised and she left in a hurry. They joys of teaching science. 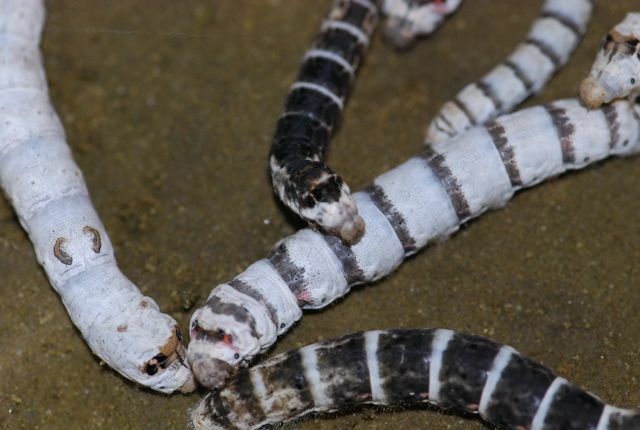 In my book report book this school year, ( I am in grade 5 ), it talks about silkworms. 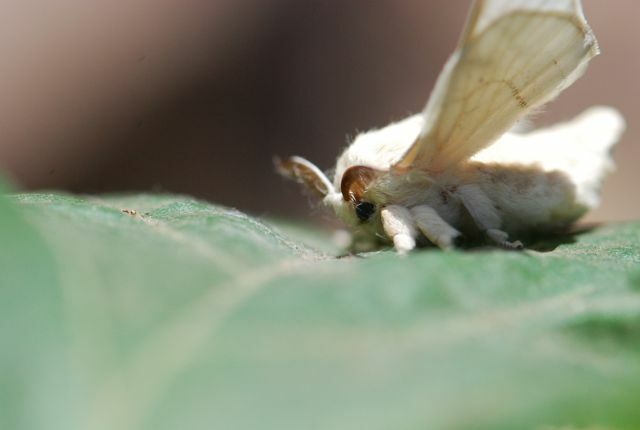 These little creatures make all the silk we produce. In order to get the silk, though, we have to kill the pupae while it's in the chrysalis. We have to boil them in hot water, and then make thread by weaving together 5 strands of the silk. Then we make clothe, ect. I finished this book, and wanted to know more about silkworms. I found this website, and I've learned a lot more about these cute little creatures. 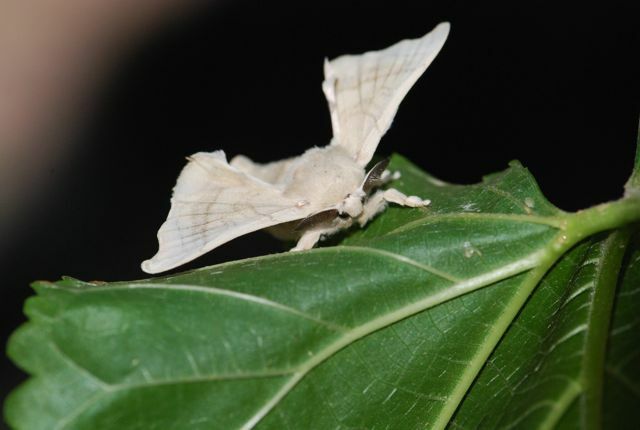 I want to thank everyone who put up this website; it has helped me learn so much more about these silkworms. Your explanation is good. I would only make one suggestion. 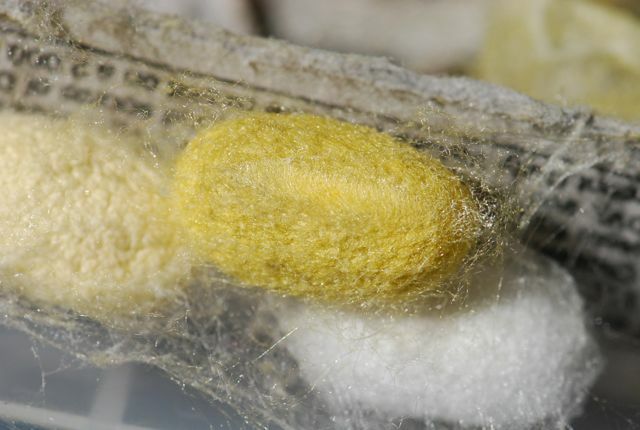 The silk wrapping around a moth pupa (a silkworm is a moth) is called a cocoon rather than a chrysalis. The chrysalis is the pupal stage of a butterfly. People often mix those two up, even in books.